Looking for an escape from Singapore? While expats from all over the world are looking to move to the South East Asian hub, there are also many enthralling day trips to nearby destinations to be had. As long as you have your employment visa options in Singapore sorted, you’ll be free to live like a local and that means travelling like one too. Just a quick ride on a boat from Singapore, the island of Batam sits in Indonesia’s Riau archipelago. It’s the perfect place to take a day trip from Singapore as the journey is a mere 45 minutes. 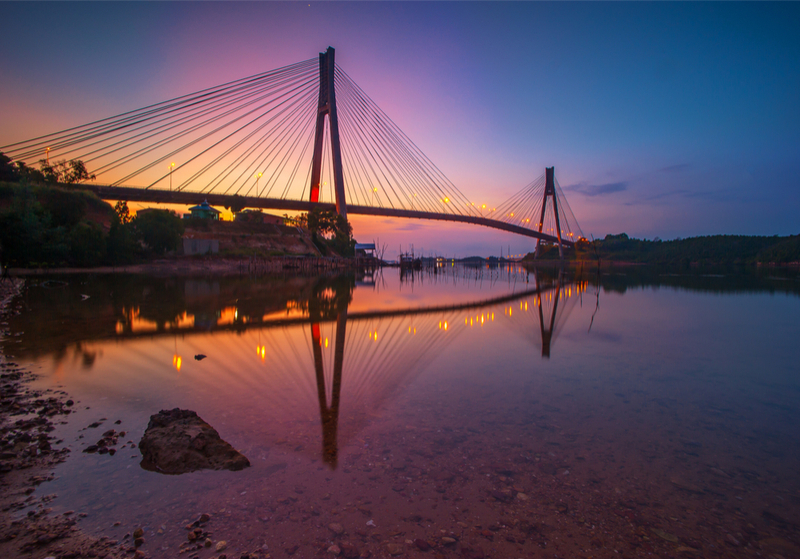 Aside from being virtually a hop and skip away from Singapore, Batam is home to stunning beaches, great shopping, fancy resorts, wonderful attractions and a fun and exciting nightlife scene to boot. 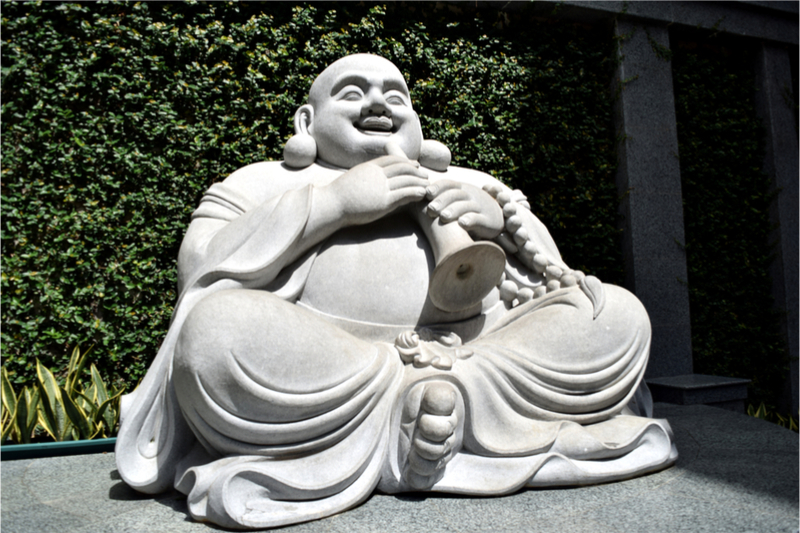 Besides the lengthy name, this temple is known for its fine collection of laughing Buddha statues which comes in all shapes, sizes and costumes. This cultural highlight is one of the more popular attractions and a must see for those looking for a bit of local culture. The property is large which makes it fun to explore and take photos. There is also an orphanage which you can visit as well as food stalls and an excellent vegetarian restaurant. This is a fantastic place to visit for a glimpse at local life. Upon arrival, don’t be surprised if the bridge reminds you of the Golden Gate bridge. This marvelous piece of architecture is comprised of 6 separate bridges which culminate to connect the islands of Galang, Rempang and Batam. Enjoy views of local fisherman spread across a wide and scenic seascape and if you go in the afternoon, you will be rewarded with a stunning sunset. One of the best (and cheapest!) things you can do is spoil yourself with a legit Balinese massage. Due to the sheer volume of tourists that come through and the range of competition, a traditional full body massage will set you back as little as 25 SGD. A good place to start is Majesty Massage and Spa located at Nagoya Hill Shop House. It is open from 9am to 10pm. Everything from parasailing, banana boat, windsurfing, kayaking and even jet skiing is available at Batam and they are all pretty affordable. Expect to pay around 60 SGD on average. You can find a selection of water sports at the Cabana Club which forms part of Turi Beach Resort in Nongsa. Opening hours are daily from 9am to 6pm. Batam is famous for its golf courses as it attracts many international tourists. Imagine teeing off on luscious greenways that are surrounded by a picture perfect coastline in the background. If you are stuck for ideas, try out the Greg Norman designed Tering Bay International on Jl. Hang Lekiu KM. 4. Tee times start at 6:30am and finish at 3pm. Ask any local what to eat in Batam and they will simply say seafood. It’s good. It’s cheap. It’s fresh and it is abundant. 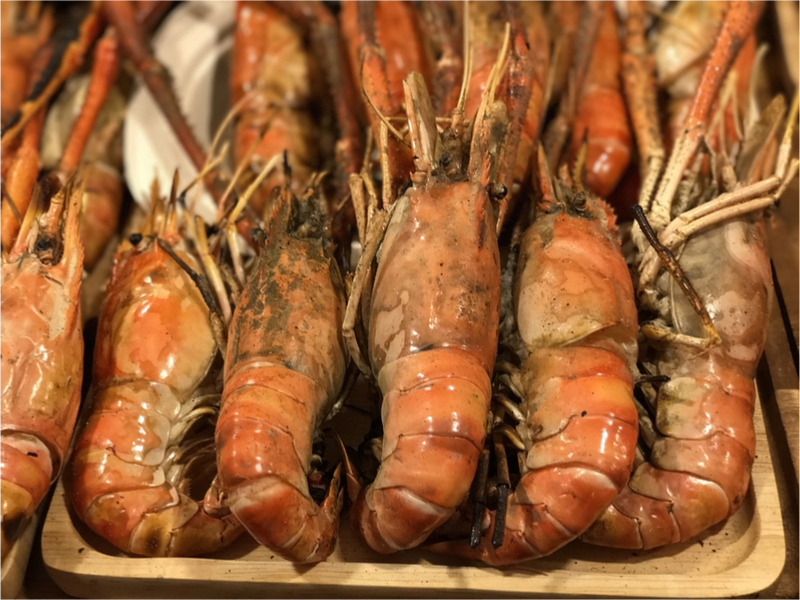 Just like the massages, the choices on the island for seafood seem to be endless but if you want to try the best of the best, check out either Golden Prawn Seafood Restaurant at Tanjung Buntung or Harbour Bay Seafood Restaurant at Jl. Dayung Sei Jodoh no. R08. Both are open from 10am to 11pm daily and situated on the waterfront promenade and make for the perfect spot to enjoy a local meal. Delicious highlights include black pepper crab, chili stir fried mussels, and salted egg yolk crabs. Try out this local dessert on your way back to Singapore. An easy way to do this is to order online at the Diana Layer Cake bakery in Batam via their Facebook page. Simply send them a message and arrange to collect your freshly baked Kueh Lapis.